For the first two weeks of my life I was an orphan. My birth mother left me at the Seattle hospital I was born in. She walked in to the emergency room in labor, gave birth and left the next day. Gone. Nothing but a one page form filled out. It’s doubtful that the information she gave was truthful, I never found out. Fortunately, when I was just two weeks old, my future parents took me in as a foster child. They adopted me a year later. I grew up in a happy home. I was lucky. Throughout my life there were little moments when not having birth family health history was an issue, usually with trips to the doctor. Most forms ask for family history. For example when I was pregnant, the form asked if miscarriages, natural or multiple births ran in the family. Always I entered “adopted” on the blank line. Honestly, I love my family and adopted the heritage of my parents. My mother’s parents both are of German decent, from the Northern Rhine region, came over before WWI. Mom was born and raised on a mid-west farm. My father is Irish-Canadian, his Grandfather moved down to Minnesota a hundred years ago to farm. My dad’s mother was a Dunbar. Dad was raised in St. Louis, Missouri. Perhaps you associate blond hair, blue eyes with someone with a Northern European genealogy. In fact I have black hair and brown eyes, and tend to stick out like a sore thumb in family photos. No big whoop. Inside I felt, talked, played and thought like the family I was raised in. My attitude has always been, if someone has a problem with you, it is their problem not yours. What are you? Folks are often confused by my features and can’t figure it out, and sometimes really need to figure it out. Of all the little issues with being adopted this one is the most confusing for me. People have guessed that I could be Mexican, Spanish, Italian, Jewish, Slavic, Black Irish, even Gypsy. No one guesses German or Irish. 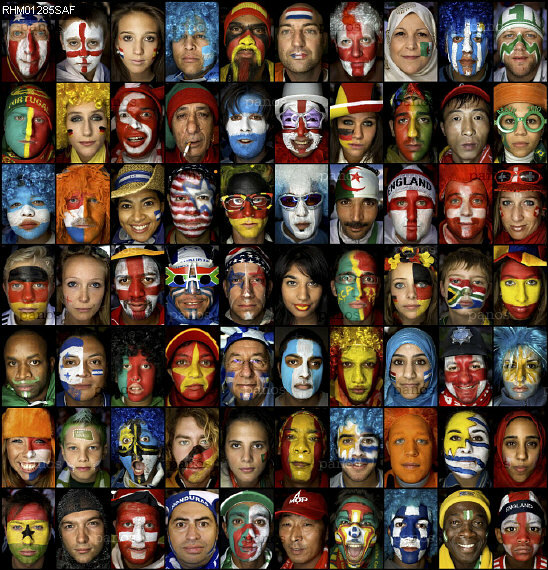 I do wonder about my blood line, but WHY is it so important to other people, especially to people that I just met, what my race, nationality or ethnicity is? Is there a box in their head they are trying to put me in? Over time, my position regarding what I am changed slightly. Since I don’t know what race I am, I decided to be ALL races. This attitude comes in handy and lightens the conversation at times. Joking around aside, honestly aren’t we all a little bit of EVERYBODY? The truth is that we are everybody… or I mean everyone. Genealogy is a fickle beast. 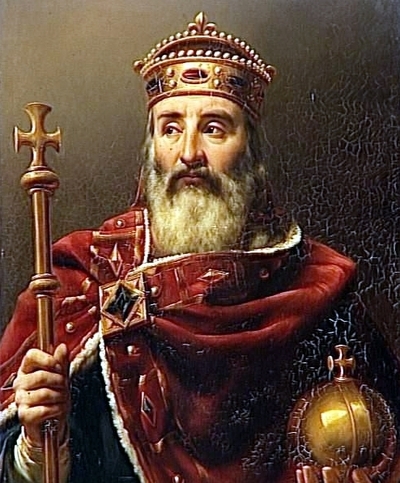 Did you hear about the guy who discovered he was a direct relative to King Charlemagne? NPR ran a great article about the issue of Pedigree Collapse. It goes something like this: if you count your direct ancestors backward through time, the further back you go, obviously, the more ancestors you have. But when you do the numbers, something queer happens. Go back to A.D. 800 and the number of direct ancestors is, well, puzzling. You start with two grandparents, then four great-grandparents, then on to eight, 16, etc., and by the time you get to A.D. 800, the number averages to about 562,949,953,421,321. That’s a lot of people. In fact, that’s more people than have ever lived. What’s wrong is at some point up the line, people get counted twice, or three times. Your great-great-great-great-grandma on one line turns out to also be a great-great-great-great-grandma on another line. The same person can show up multiple times. You get duplicates. And way back, when the population of humans was much smaller, pretty much every line is duplicating heavily till at some point, everybody is your direct ancestor. So see I wasn’t too far off. I am related to all and all is everybody.